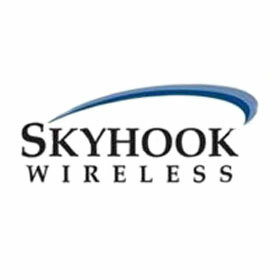 From the History Pages: Skyhook Launches! The technology, invented by Skyhook Wireless, a Boston, Massachusetts-based start-up, could resolve difficult problems such as tracing stolen laptops and providing 911 emergency location information on voice over internet protocol (VoIP) phone calls. Read the original Financial Times Article Here! 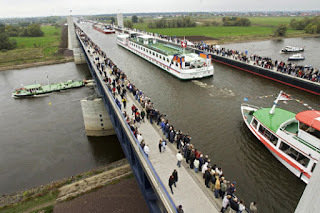 It used to be the case the barges traveling down Elbe-Havel Canal, a major shipping channel in Germany, would be majorly delayed by the Elbe River crossing. Because the canal's water level is much higher than the rivers, a barge would have to be lowered to river level, sail several miles downstream, and than would have to be raised again to canal level before proceeding. German engineers came up with an ingenious solution to this problem: they constructed an elevated aqueduct to connect the two canals, which would cross over the river. 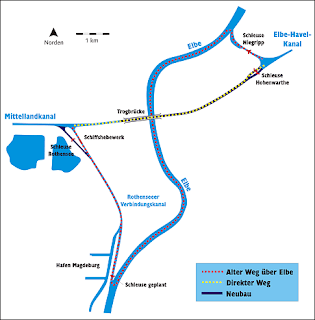 This brilliant solution was completed in 2003, and saves vessels large amounts of time while navigating the area. The following picture shows the waterways with the old route (in red) and the new route (in yellow). The water bridge itself is depicted in gray. 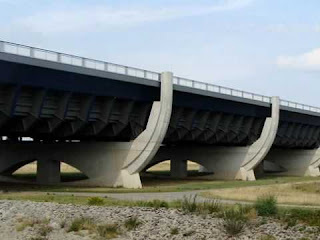 To view the bridge yourself, fly to 52°13′52″N 11°42′07″E in Google Earth. 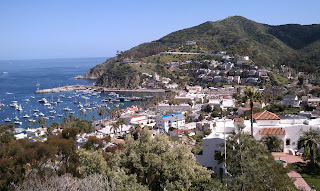 Located on a crystal clear bay on Santa Catalina Island off the cost of Southern California, the resort town of Avalon does not look polluted. 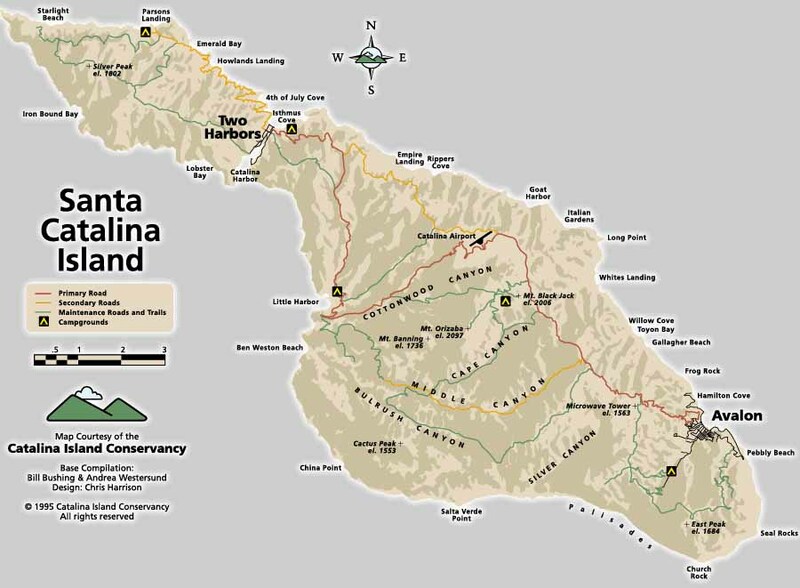 The hills are lush with vibrant vegetation and the water is cold and clear - or so it seems. 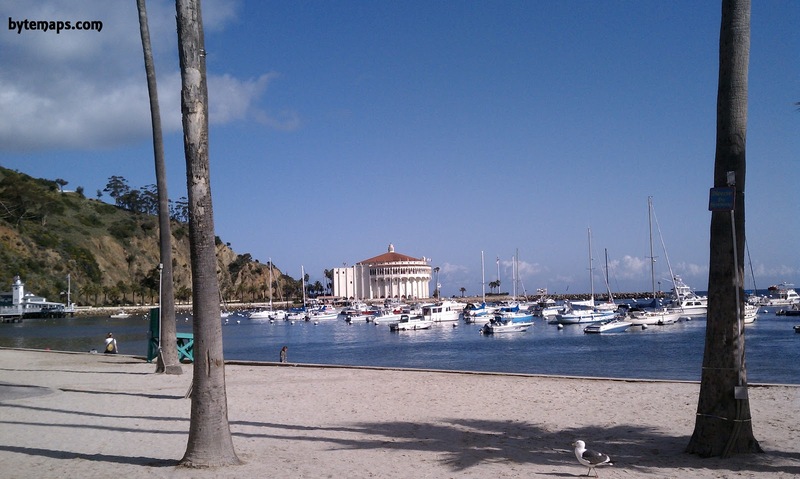 According to the Los Angeles Regional Water Quality Control Board, Avalon's picturesque harbor is one of the most polluted in the nation. 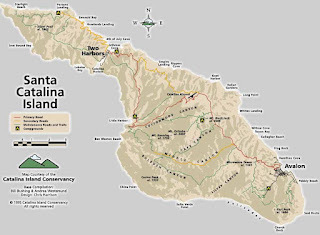 The source of the contamination is the city's aging sewer system, an antiquated network of clay pipes, which leak raw sewage into the surrounding ground water. This water then mixes with the bay water, creating a health hazard for swimmers, boaters, and others who come in contact with the water. Charlie Wagner, Avalon's chief administrative officer, said that the city is working to quickly correct the problem. The LA Times reports that work is already underway to replace the old pipe with modern plastic pipe. 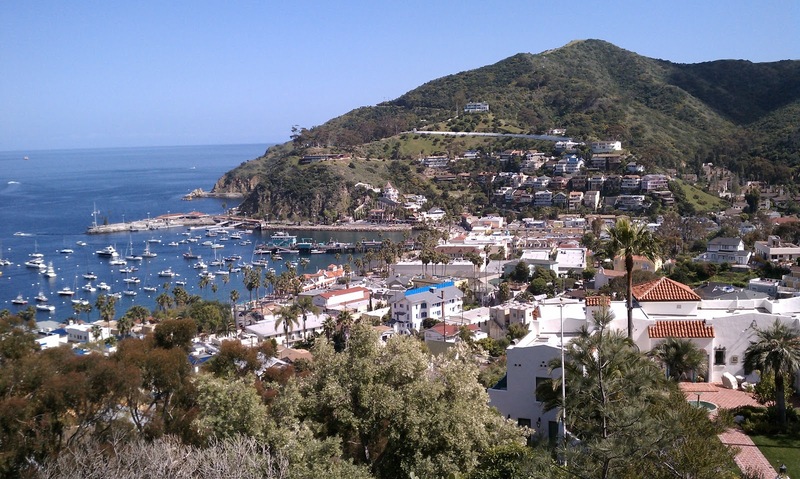 Officials hope that Avalon Harbor will past strict water quality tests by the summer of 2016. Currently, the harbor fails environmental tests so regularly that signs are frequently posted warning beach-goers of the risk. 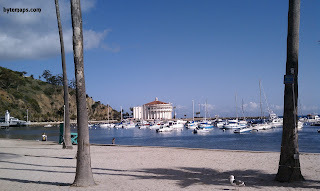 City of Avalon Must Clean Up Its Water by Thomas Vieira is licensed under a Creative Commons Attribution-NonCommercial-ShareAlike 3.0 Unported License. Based on a work at www.latimes.com. The saga of Light Squared continues: Sprint recently pulled out of a deal to buy wireless bandwidth from Light Squared due to LS's inability to obtain FCC approval. Some speculate that LS's only move now is bankruptcy, despite a $65 million cash infusion from Sprint for pulling out of the contract. Light Squared insists that the FCC should allocate less 'controversial' block of frequencies for LS's network to utilize. LS also complains that the GPS lobby waited for years while LS was developing its technology before raising complaints about interference. We have watched with baited breath as the wireless broadband startup has fought to convince the FCC that it's 4G technology is safe and compatible with existing GPS technology. The FCC, along with manufacturers and users of GPS equipment, claim that interference will occur when Light Squared launches its LTE network on frequencies which neighbor those used by GPS. Light Squared has argued that the blame lies with the tendency of GPS to be sloppy and to 'leak' outside of its allocated bandwidth, and as such the burden for causing interference is on the shoulders of the legacy GPS system and not with Light Squared. Sprint Drops Struggling LightSquared by Thomas Vieira is licensed under a Creative Commons Attribution-NonCommercial-ShareAlike 3.0 Unported License. Make Minimum Wage? No Housing for You! People making minimum wage cannot afford to rent a place to live. This conclusion, made in an annual report released by the The National Low Income Housing Coalition (NLIHC), explains that on average, the earned income falls about $4/hour short of 'housing income,' or the income required to maintain a household. Source: NLIHC's "Out of Reach 2012"
So, just how many hours earning minimum wage does it take to afford a home of one's own? 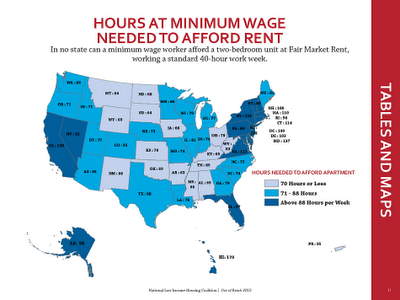 It depends on the state: West Virginia and Arkansas come in as the most affordable, with a worker earning minimum wage only needing to work 63/hours a week to make ends meet. An employee earning minimum wage in California, however, would need to work 130 hours/week to make ends meet. That works out to be about 18 hours per day just to pay the rent. For more information on the unequal state of America's house system, please visit the National Low Income Housing Coalition, and view the 2012 report "Out of Reach".